Sharon Ambrose was an American politician from Washington, D.C.
Alberto Assirelli was an Italian racing cyclist. He won stage 20 of the 1962 Giro d'Italia. Samuel Julian Ard was an American professional stock car racing driver. He won two NASCAR Late Model Sportsman Series championship, in 1983 and 1984. Ard also made one Winston Cup start. He retired from driving after being injured in late 1984 and became a car owner. He battled Parkinson's in the later stages of his life and died in April 2017 at age 78. Stan Beal was a former Australian rules footballer who played with Footscray in the Victorian Football League (VFL). Vivienne de Silva Boralessa was a Sri Lankan singer known particularly for her Buddhist devotional music. Her fame peaked in the 1950s, in what is known as Sri Lanka's 'gramophone era'. Kishori Ravindra Amonkar was a leading Indian classical vocalist, belonging to the Jaipur gharana, or a community of musicians sharing a distinctive musical style. Michel Arrivé was a French novelist, short story writer, linguist and academic. He was a Professor of Linguistics and Semiotics at Paris Nanterre University from 1983 to 2006. He authored several novels and short stories. John Knut Chrispinsson was a Swedish journalist, author and television presenter. He worked mostly in TV and radio with news programmes and historical programmes. Chrispinsson also wrote several books on Swedish history. 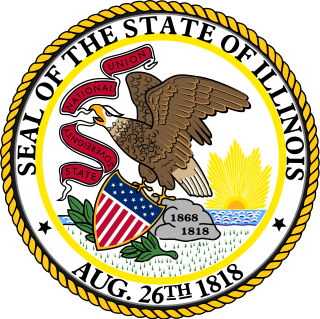 Tobias G. Barry, Jr. was an American politician in the state of Illinois. Samir Farid was an Egyptian writer and a world renowned film critic, journalist and film historian based in Cairo. He authored and/or translated over 60 books since 1966 on Egyptian, Arab and World cinema. He was the consultant for Cinema affairs in the Bibliotheca Alexandrina. (2001-2016). Attilio Benfatto was an Italian cyclist. The 1966 UCI Road World Championships took place on 28 August 1966 at the Nürburgring, Germany. Arthur Bernard Bisguier was an American chess grandmaster, chess promoter, and writer. ↑ "Obituary: Former Nova Southeastern University president Abraham Fischler". Archived from the original on April 6, 2017. Retrieved April 29, 2017. ↑ In Memoriam: Claude Klee, M.D. ↑ "In Memoriam: George Daniel Mostow 1923-2017". Archived from the original on April 22, 2017. Retrieved April 29, 2017. ↑ Trans-Siberian Orchestra Mastermind Paul O'Neill Passes - "The Entire TSO Family, Past And Present, Is Heartbroken"
↑ "John Fraser (1934 – 2017)". Archived from the original on April 7, 2017. Retrieved April 29, 2017. ↑ Father Michael Bernard McPartland, S.M.A. ↑ Blossom “Clare” Elfman: Nov 4, 1925 – April 10, 2017. ↑ Former Episcopal Bishop Frederick Borsch dies at 81; early LGBTQ advocate pushed for living wage in L.A.
↑ Bishop José Ramón Gurruchaga Ezama, S.D.B. ↑ In Memory Of Hugh Lynn Pitts Sr.
↑ "Matthew Ernest Stephens". Parliament of Western Australia. ↑ "Longtime sports information director at Northeastern dies". Archived from the original on April 23, 2017. Retrieved April 29, 2017. ↑ "Former state lawmaker and Macomb Twp. supervisor Alvin Kukuk dead at 79". Archived from the original on April 27, 2017. Retrieved May 7, 2017. ↑ OBITUARY: Noritoshi Kanai, 94; Chairman of Mutual Trading Co.
↑ Kate Walsh O'Beirne R.I.P. ↑ Lentz, Harris III (July 2017). "Obituaries: Glory Annen, 64". Classic Images (505): 49. ↑ "Local cricket fraternity mourns the 'Prince's' passing". Archived from the original on May 1, 2017. Retrieved April 29, 2017. ↑ "Vinu Chakravarthy leaves Kollywood in tears". Archived from the original on April 28, 2017. Retrieved April 29, 2017. ↑ "Crew member-turned-Indy 500 starter Billy Scott dies". Archived from the original on May 6, 2017. Retrieved May 7, 2017. ↑ "Texas Police Department Fires Officer Who Fatally Shot Black Teen Leaving House Party". Archived from the original on May 3, 2017. Retrieved May 7, 2017.